Most known for being one of the first bands on Alan McGee's Creation label, the Jasmine Minks were formed in early-'80s London. Initially a trio centered around singer Jim Shepard, the band went through numerous lineup shuffles throughout their lengthy, bumpy, and ultimately resilient history. 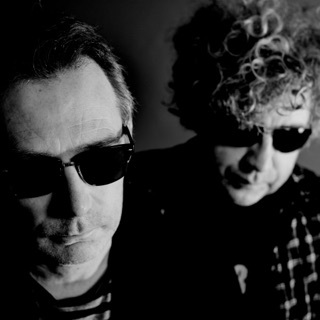 The band's diverse musical interests, which ranged from the punk end of the Buzzcocks and Subway Sect to the more experimental likes of Cabaret Voltaire and DAF and to the more classic likes of Motown and Love, prevented them from being a simple pop band. Alan McGee signed the band on the strength of witnessing a lengthy rehearsal at the band's Waterloo hideout and picked the songs that would become the band's first single. With organ and production help from Joe Foster and Dave Musker from Television Personalities, the Think! single was released in 1984. After another single, the 1234567 All Good Preachers Go to Heaven EP was released, felt by many to be their finest moment. After plans for a split EP with the Smiths fell through, the Minks went on a European tour with the young Jesus and Mary Chain and McGee's own Biff Bang Pow! Sessions for an EP, which the band felt enthusiastic about, were basically dropped and shaved down for a single. They recorded an LP's worth of material under the working title of Everybody Has Got to Grow Up Sometime, a fitting title for an album that leaned on the classicist songwriting of the Go-Betweens, even going so far as to include more intricate arrangements, horns, and acoustic guitars. However, some of the album was discarded in favor of songs from the preceding EP sessions, interrupting any sense of consistency that the thematic album once had. The 1985 release was eventually given an eponymous title.